Also, If you want to change the default location of inventory file then you can modify it using Ansible configuration file. inventory = "Path of New Inventory File"
Note: In above example apache3.techoism.com server is define in both the groups. It is also possible to make groups of groups using :children suffix in Ansible inventory file. You can also set value for many of the variables in Ansible inventory, so you can skip those variables in Ansible playbook. 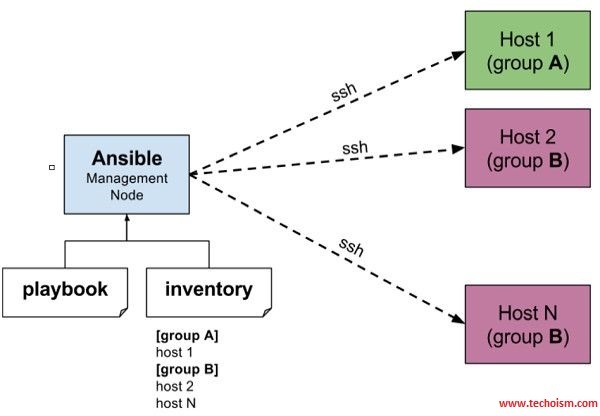 For more details, you can check ansible inventory documentation.